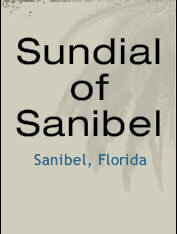 The Sundial Beach Resort & Spa, located next door to Sundial of Sanibel, offers a variety of amenities that are open to the public and are available for your use, and enjoyment. Some amenities are restricted to members only. The following list is available for the enjoyment of all residents. Use fees may apply. For more information regarding offerings available at the Sundial Beach Resort & Spa, please contact them directly, 239-472-4151.